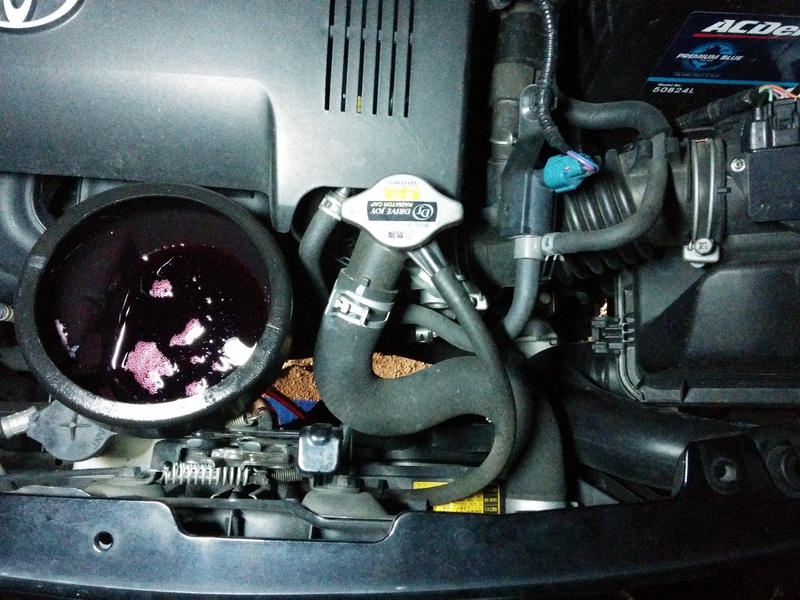 Changing transmission oil should be a simple process, but in case of Toyota CVT (2004 Toyota Vitz RS in this particular case) it is not very simple. Yes, the drain plug is not really a drain plug. * Except I believe there is another way (quick and lazy) as the oil can be sucked out via the filler plug given the tube is rigid enough. I haven’t tried this method. It is lazy because you don’t inspect and clean the magnets, and you cannot tell the condition of the transmission beyond the oil condition. Here you will find how I changed it (not necessarily 100% “by the book”, just applied common sense with some googling). Toyota would not tell me how much oil is a normal fill. Basically I was told to put the same amount that came out. To figure out correct volume I drained old oil into an empty container and weighted it. Then I emptied old oil out and matched the weight (in same container +100g for spillage) with new oil. Basically I had about 2.8kg of oil (excluding 275g container weight) in the sump (about 3.2-3.5L depending on the temperature and spillage). It works out that oil must be just below the filler hole that I used. To drain the oil one needs to remove the sump “plug” (6mm hex). 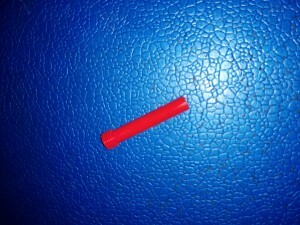 It is not a real drain plug as only about 200ml-300ml would come out. 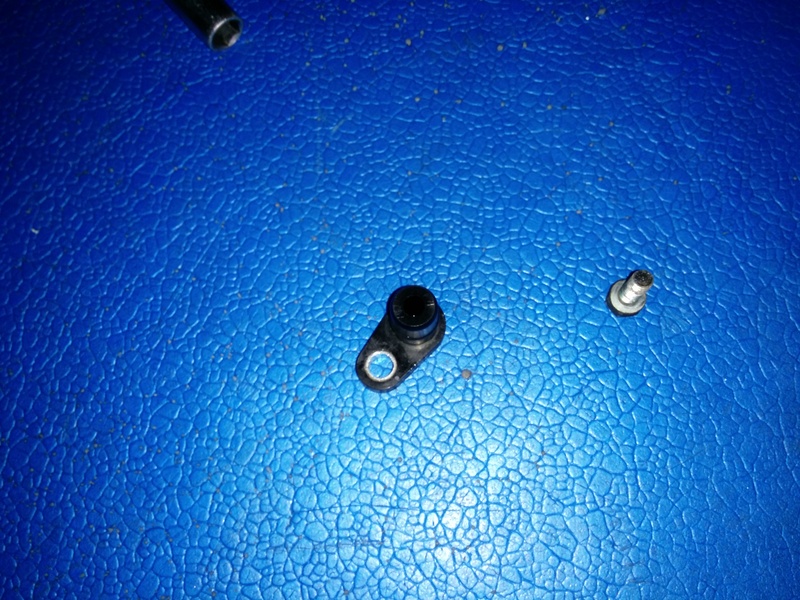 Once the fluid stops draining, use the same 6mm hex socket in the hole where the sump plug was, and gently unscrew the plastic tube. This time there will be about 1-1.5L of fluid coming out. By removing the plastic tube the oil level will become just below the gasket line, if the car is jacked up front up the fluid will be above the gasket line (about 200-300ml) on the far side of the sump (due to angle of the car). The spill can be avoided if the rear of the car is jacked up as well to make it levelled. I found this hard way. 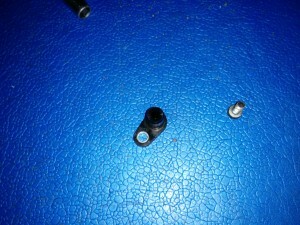 Once it is drained via sump plug, put the plug back in and unscrew 10mm bolts holding the sump. 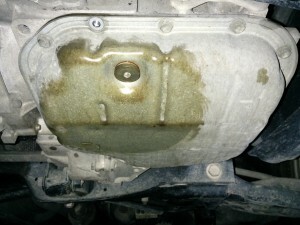 You will find the sump is “stuck” and will need a gentle pry to remove it. Watch out for oil as there is about 1L of oil left in the sump! 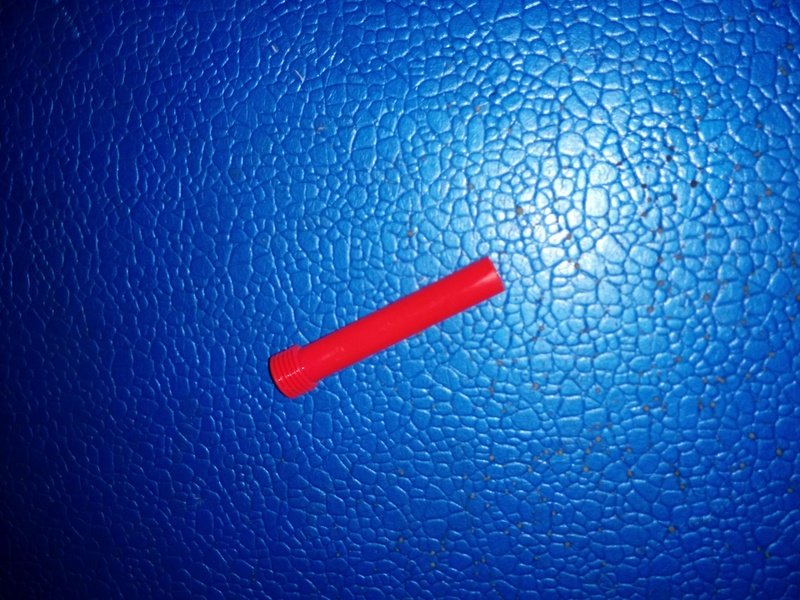 Don’t forget to screw in the plastic tube! It goes in the same way it came out. Check the condition of the strainer (should be clean). The torque that the sump screws needed to be tighten to is very tiny (8-10Nm), I don’t have exact figure, but it should not be too different from other Toyota auto transmissions (hence the 8-10Nm figure), it must be done evenly. Do not over tighten, as the torque required is almost finger tight! I tightened it in multiple passes (allowing gasket to spread evenly). Best way to start once the sump is held by all screws, is to undo all screws so there is a play (sump can be pushed up) and tighten them in criss-cross pattern with very small torque evenly. 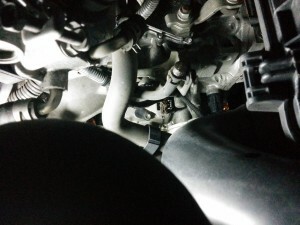 To find it just look down from throttle body, it will be just below the transmission breather, in midst of various plugs a next to oil cooler. As interesting note to this exercise, one could retrofit dipstick from conventional auto, as well as to weld on a real sump plug, to make these changes easy enough (although they are not frequent enough to warrant such measures). Hi, where can you get the gasket and how much does it cost? I get my parts through Manawatu Toyota (I deal with Mark). The gasket is around $60-$80. Any Toyota franchise with parts department can get that for you. Hi your post is really helpful here, thanks. Can you please advise how much roughly the fluid (CVT TC) will cost, thanks. About $150 for 4L from Toyota NZ. Hi, your post is really very helpful. I need an additional help, I have Toyota vitz 2004 1.3 under the speed of 40 km/h as I release the Accelator pedal it seems like break is pressed and very fast lows the speed. Even I don’t press the break pedal. Could you please tell me what to do where is fault how to fix it. I from symptoms you have described I believe you have overrun fuel cut off issue. Specifically where it happens too early (where throttle is not fully closed). This issue is accompanied by high idle. Normally it happens when the throttle body was cleaned or ECU was reset (eg. : due flat battery or disconnected battery for unrelated work). Generally it should go away after a while. 1) Reset ECU (by pulling EFI fuse from the fuse box in the engine bay for about 10 seconds). 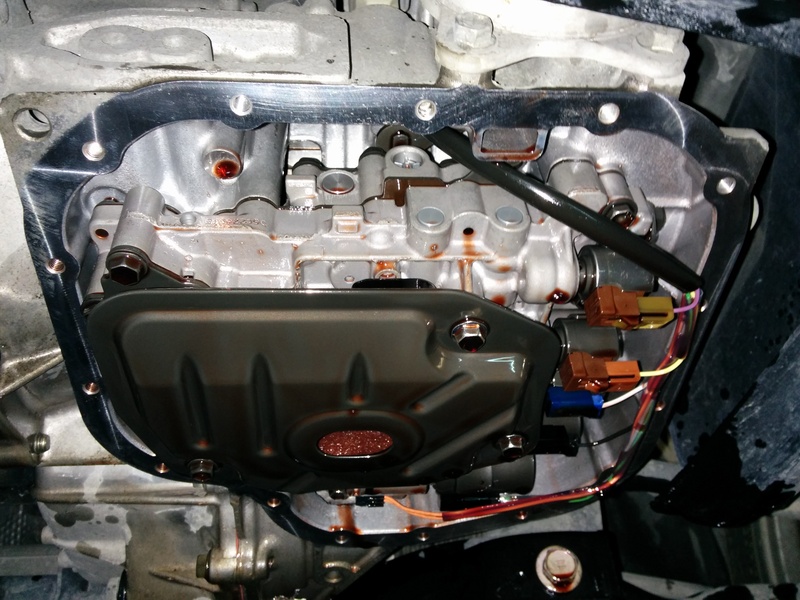 2) Start the car and let it idle until fully warm. The idle might be very high (>2000rpm), this is temporary. 3) Gently bring the rpms to 4000-5000rpm and keep there for 10-20seconds (pretty much until it stops hunting around the target). Don’t worry about high rmps, despite what old people say this is entirely harmless (it is not like you are bouncing off limiter for hours). 4) Let the throttle off until idle stabilises. 5) Repeat 3 and 4 a few times (or until idle is around 800rpm). But now i hear a sound when I start moving my car. When the speed going more than 20km per hour the sound stops n runs normal. Hi Sir, Can you tell me please. when can we changes the Toyota cvt -tc oil changes. 40.000 or 60.000 or up to 100.000 K/M. do I need to replace the transmission oil tilter or not. Hi Toyota does not really have a recommended schedule as far as I know. I normally check if the oil is clean, and the car has done ~50k since last change, I would replace just the fluid. If the fluid is dark (not normal for CVT), I would do a flush by removing one of the oil cooler lines and running through 8L of fluid. As far as I know there is no filter as such, just a mesh strainer (at least it was in this model), thus there was no need to replace it (as the fluid was fairly clean to start with). Fluid in CVT should last longer than in conventional AT as there are no clutches in there to burn it (and the chain normally does not slip). 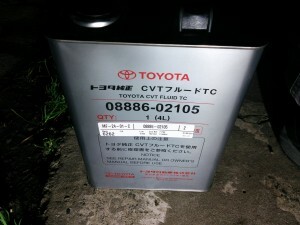 Hi,I have a 2011 Vitz 1320cc,at first the car’s performance was very good and at about 75000km I have changed cvt oil, but after, the car performance has decreased,my question is that if overfilling cvt oil can damaged the tramission box? Probably not, depends how much you over filled. Did you use correct oil? Does it slip at the moment, or generally does not have enough power? Have you checked your air filer and MAF sensor? MAF sensor can be cleaned with MAF sensor cleaner spray at very low cost, and can improve performance dramatically (if it was dirty). This is a very good instructional content for all those toyota car owners with CVT. I have a question please. 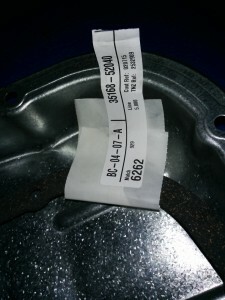 I have a Toyota Corolla Axio 2007 with K310-02A CVT. I bought the car @ 19400KM on ODO and now @ 34550KM I have some “grrr” sound coming from the CVT i think. On park, when I rev the engine I don’t hear this sound. When I move the car from stop and raise the rev, when around 20Kmph to 30Kmph, I can hear that “grrr” sound. At high speeds the sound gets significantly lower. Any ideas as to why this could be happening please? CVT oil has not been changed since i bought. 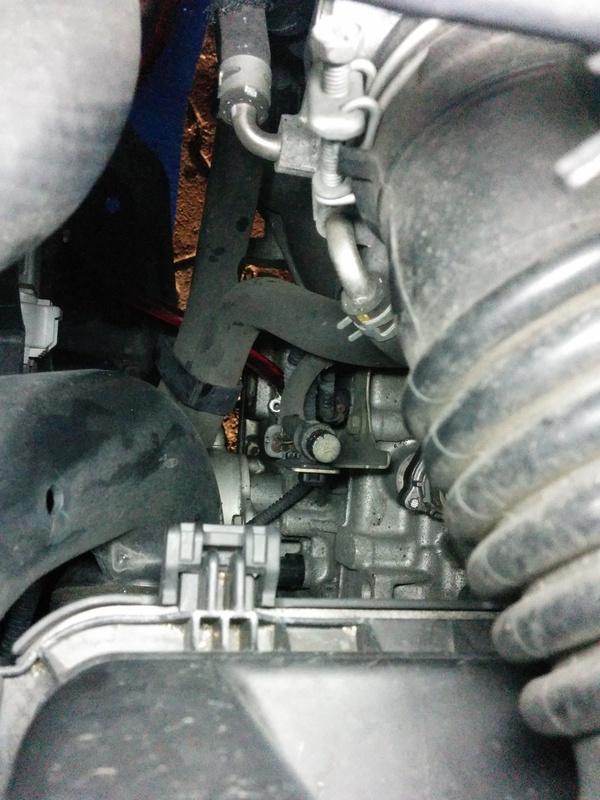 Perhaps try changing oil, sounds like the clutch is slipping… I thought this was Honda specific problem. Hi, may i know oil fluid gearbox for Toyota wish 2013 ZGE20R? I’m sorry I don’t know. Ask your local Toyota dealership. HI, I have a Toyota AURIS 2007 which uses CVT, i mistakenly used Castrol ATF one time when i changed oil, the car has been moving but recently stopped, it cannot move forward when the drive gear is engaged but when put in reverse gear the car is moving..so my question is could changing back to CVT oil make my car move again or is there a serious problem with the gearbox? please help!! It depends on how long have you been driving it for. If reverse still works you might have little bit hope, but I doubt it. 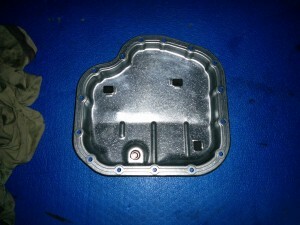 Perhaps you simply fried forward clutch, which is not an easy task to fix. 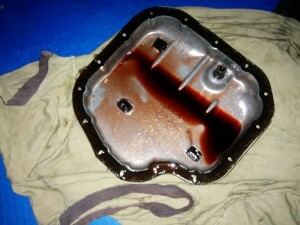 First thing what I would do is drain fluid (and remove the oil pan) and look for metal flakes and how burned it is. In anyway the fluid has to be drained. BTW if you decide to replace the fluid with correct one, you will need way more than 4L of the fluid (8L is good start), simply because you will need to “flush” it. The backyard option of flushing the fluid is unhooking the transcooler hoses and draining it while the car is running (while adding fresh fluid at same time). Depending where you are, the cost of flushing could be more then cost of a second hand transmission.